This Dragster Does A Quarter Mile Wheelie With Flames! Insane! 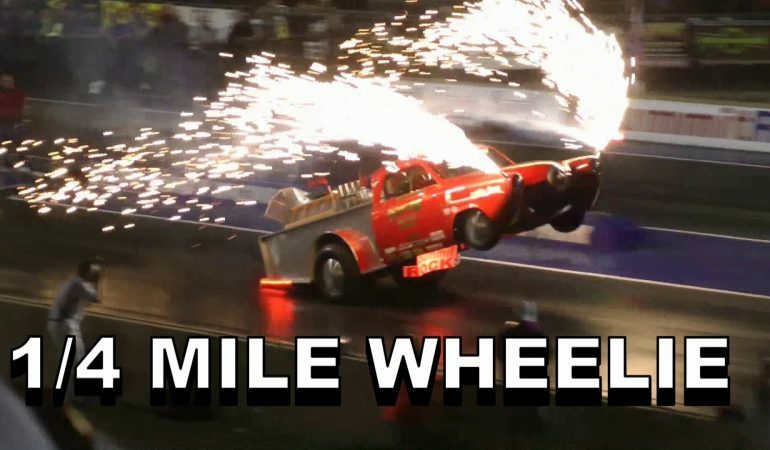 That is what you guys can say after watching this Studebaker dragster doing a quarter mile wheelie with flames! The car had a couple of run on the dragstrip and both were executed differently. 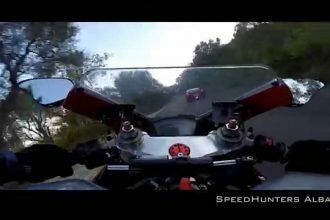 On the first run, you can see the dragster doing a wheelie while a huge flame coming from a huge pipe behind it while the second run, the dragster did a wheelie with flames sparkling on the front. It is more like the perfect way to show a victory! 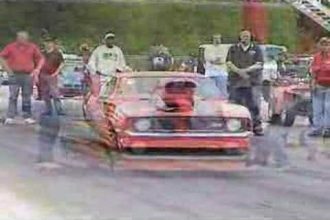 Watch this super Studebaker dragster in action below!